Advocare Slam Energy Shot is a ready to drink energy supplement made by the same company as popular Advocare Spark. Although this product is labeled as a "Liquid Vitamin and Amino Acid Supplement", it does offer a moderate dose of caffeine as well. All flavors of Advocare Slam have the same caffeine content and the same vitamin amounts. Slam has the same amount of caffeine per serving as Spark does, but in a more concentrated fashion. 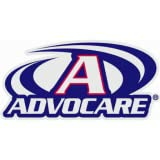 Advocare Slam is for healthy adults only and should be kept out of the reach of children. How Does Advocare Slam Energy Shot Compare? Advocare Slam Energy Shot contains 60.00 mgs of caffeine per fluid ounce (202.88mg/100 ml).